This is Dan’s favourite Korean dish. He reckons the best tasting one came from Wah Korean Restaurant in the city by their previous owner. He was very disappointed in the taste after the restaurant was bought over by someone else. To end his misery, I decided to learn how to cook this at home. I tried a few recipes and spoke to a few people to get this close to his favourite. 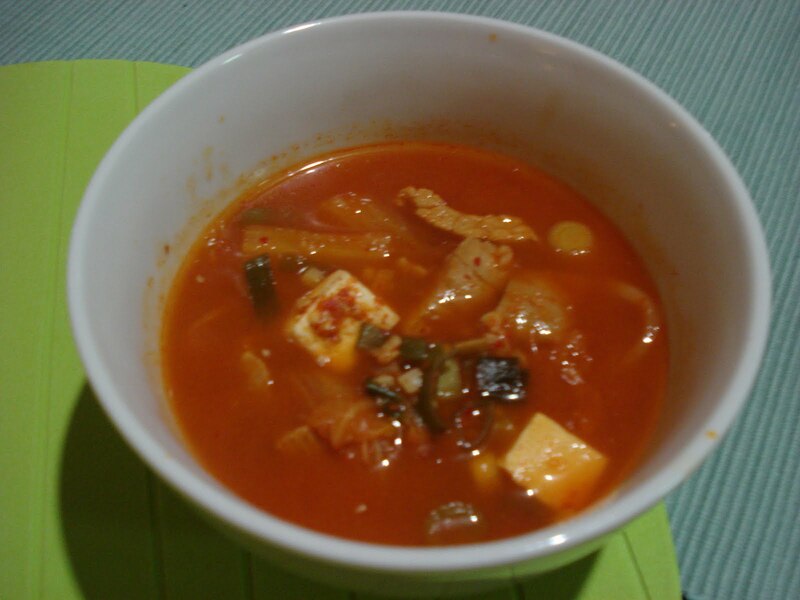 My first trial from an online recipe uses Gochujang which makes the soup very thick and sweet. 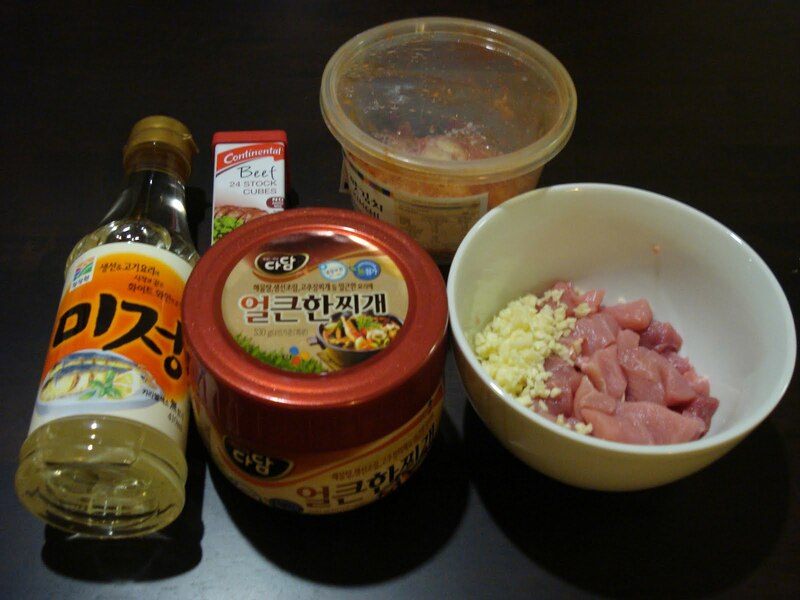 The lady at our local Korean sore store gave me her recipe and suggested replacing Gochujang with Korean spicy soup base. My Korean friend, Teri recommended adding beef stock to balance the flavour. 1. 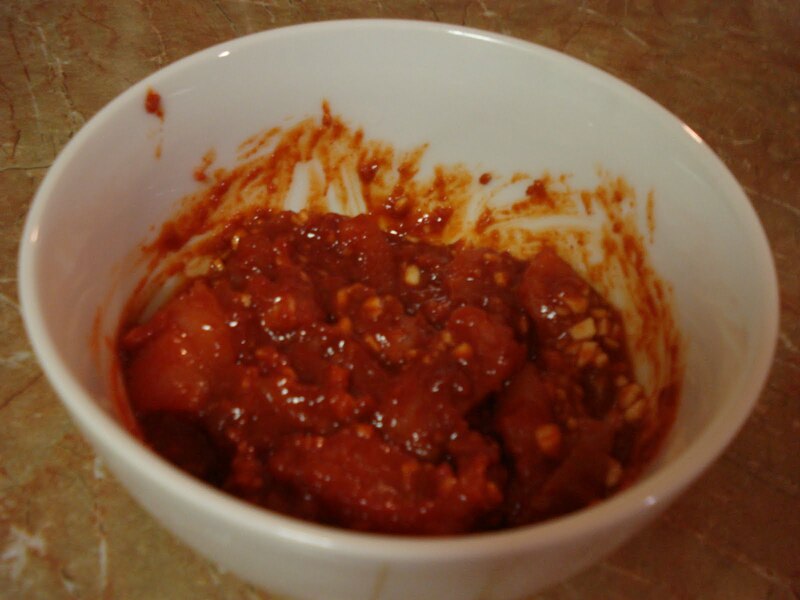 Marinade sliced pork with minced garlic, rice cooking wine, spicy soup base, sesame oil for 10 minutes. 2. Cut Kimchi into bite sized pieces (not required if buying pre-cut Kimchi). 3. Heat up a soup pot. Add 1 teaspoon of Olive Oil and stir fry pre-marinated pork. 4. Add in Kimchi pieces once the meat is half-cooked and stir-fry together. 5. 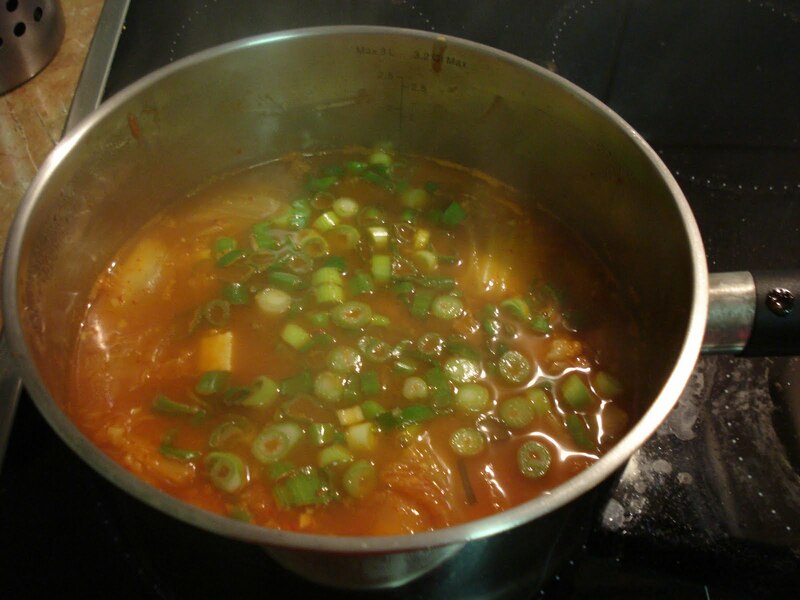 Add water, beef stock and Kimchi juice to the pot and bring to boil. 6. Add Korean chilli flakes to taste. 7. 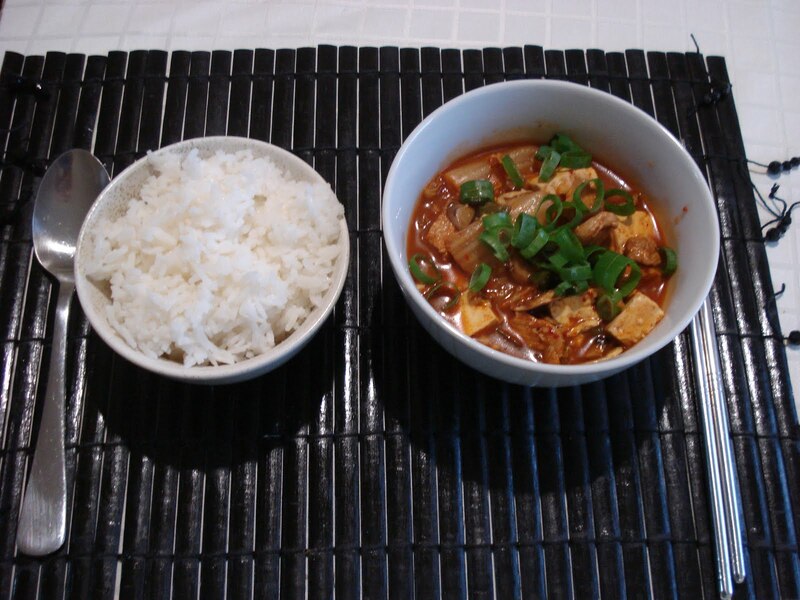 Once Kimchi is tender, add sliced tofu and shallots and simmer for a few minutes. 8. Remove from heat and it is ready to be served. This is best eaten with a bowl of rice. You can add a handful of freshly sliced shallots for dressing. Here’s a picture taken from an earlier attempt.